Evans, GA – Mrs. Paulette Marshall Smith, 76, entered into rest January 22, 2019. Mrs. Smith was born in Washington, Georgia, the daughter of the late Paul Marshall and the late Freda McCorkle Marshall. She lived in Thomson, GA most of her life. 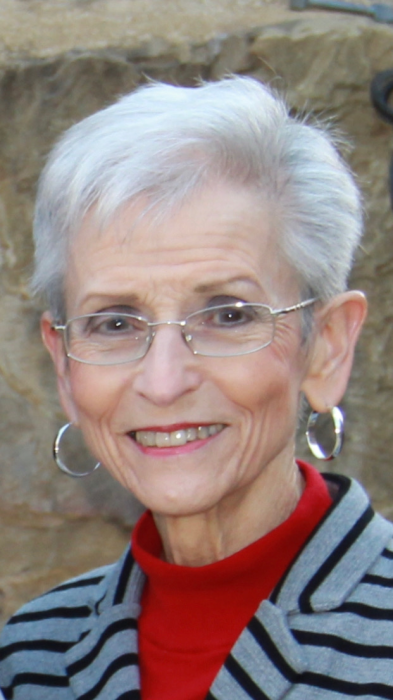 Mrs. Smith earned an Associate Degree from Massey Business College and worked as an Administrative Assistant at Thomson High School prior to moving to Evans, GA. She was an avid reader and enjoyed gardening. Mrs. Smith was a member of Warren Baptist Church. Survivors include her beloved husband of 57 years, Jessie “Donald” Smith, daughters, Dawn Smith Swan (W. Bryant “Bubba”) of Thomson, Brooke Smith Hagler (Ben) of Martinez, and Page Smith Mims (Darrell) of Alabama; seven grandchildren, Will Swan (Charissa), Sara James (Blake), Benjamin Hagler (Eva), Callie Cosper (Mike), Ruthie Hagler, Madeline Paul, and Gavin Mims; and four great grandchildren, Ellie and Stella Swan and Caroline and Henry Cosper. Funeral services will be held at 11 a.m., Friday, January 25, 2019 in the Beggs Funeral Home Chapel with Rev. Ronny Brannen officiating. Interment will follow in Savannah Valley Memorial Gardens. The family will receive friends from 10 until 11 a.m. prior to the service at the funeral home. Beggs Funeral Home, 799 Cobbham Rd., Thomson, Georgia is honored to serve the Smith family.